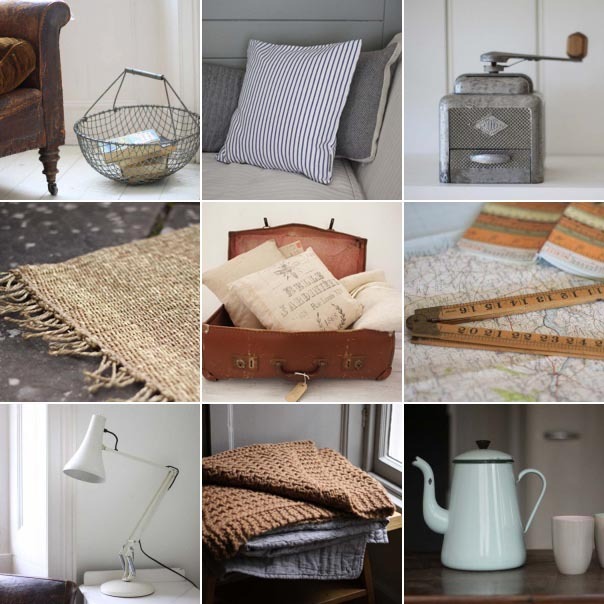 In the first of a new series of posts interviewing designers, creatives and the people behind some of my favourite shops, I caught up with Laura Holmes from Loop the Loop, an online boutique that sells a delightfully curated edit of vintage and modern homewares. Laura and her partner Adam, along with their dog Otti, moved to Crickhowell in the beautiful Brecon Beacons in South Wales two years ago from rural Wiltshire. It's a part of the world I know well and particularly love as I grew up near there. When Laura wrote to introduce Loop the Loop, after taking just a quick gimpse at the site I was smitten and keen to find out more. Laura does the buying and the photography whilst Adam focuses on the design and technical side of the business. 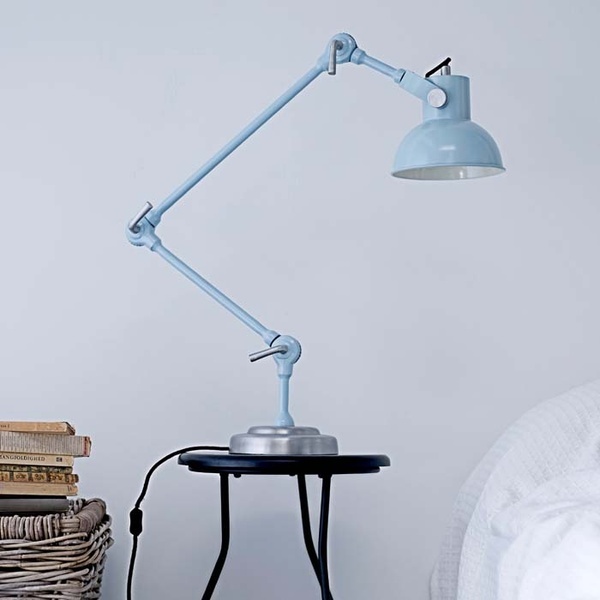 Although she modestly describes herself as 'a complete novice' it's clear that Laura has a real eye for choosing, styling and photographing the products they sell, which range from kitchenalia and hardware products to lighting, mirrors and textiles. What's the best thing about living in beautiful Crickhowell? The landscape - there is always something fun to do, whether it's scaling a mountain or canoeing down a river. The town has a vibrant arts scene too and lots of lovely independent businesses. One of my favourites is Debs' Kitchen for her scrummy Welsh cakes. How did you come up with the name Loop the Loop? What 3 words best describe your style? What's your favourite thing in the shop right now? 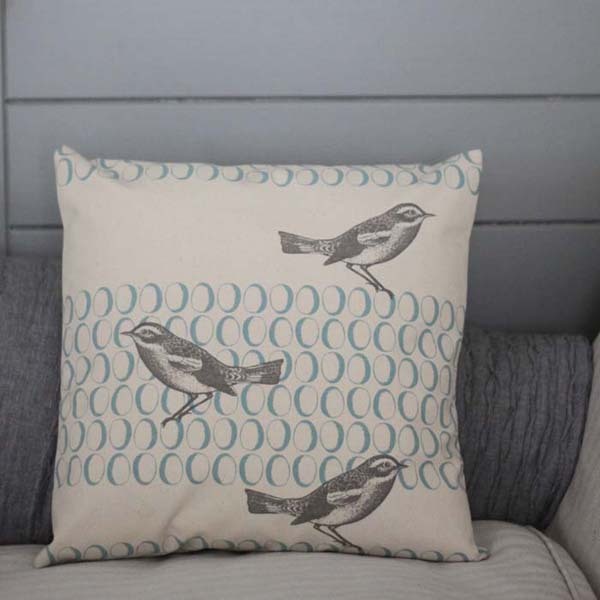 It has to be the bird and egg canvas cushion. I'm contemplating keeping one for myself! I really enjoy being outdoors so nature plays a part, also people who are passionate about what they do. I have a great group of friends and come from a large family so I'm constantly inspired by them all. Good food shared with good friends. Plus I love walking our dog Otti on a fresh, sunny morning - it's great for clearing the head and preparing me for a productive day. One thing you couldn't live without? Coffee. I can't fuction if I don't have a cup of coffee first thing in the morning. If I had another, it would be my camera. I photograph our products, and although it can take hours, my camera makes it so much easier as I'm a complete novice. One of my favourite haunts for vintage goodies is a small antiques shop in Brecon.